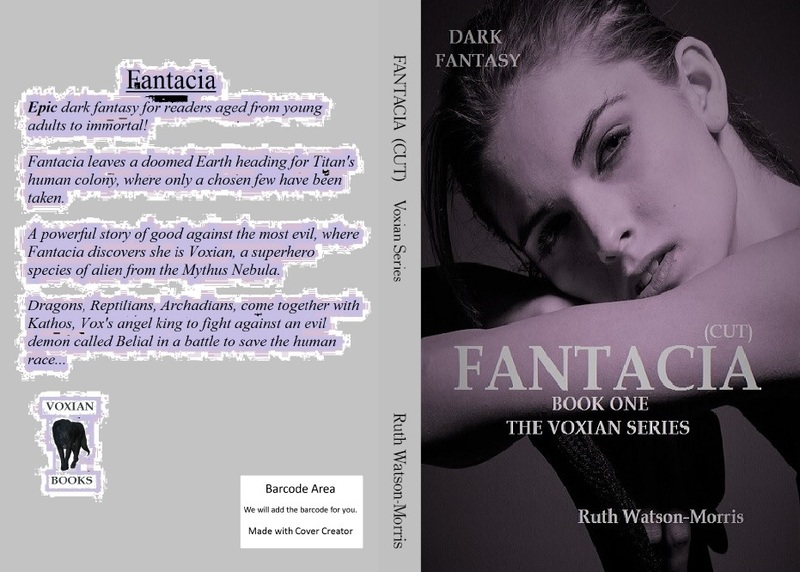 Looking forward to the new Sci-Fi/Fantasy romance? 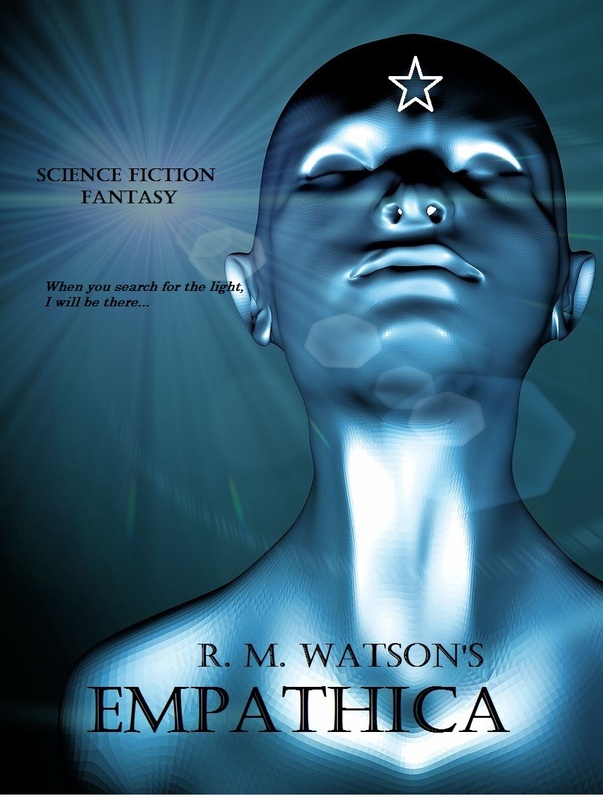 Niam Lewis is Empathic, only despite living for 500 years plus through different lives, he still doesn’t know yet! Laryssa his eternal love, meets him time after time through these lives all ending with an agonising parting. Will they get their life together or will everything go wrong again? The enemy of the Empaths is called Jaydan Barker, collector of rare things, Laryssa needs to protect Niam from this evil man, but how do you convince someone that they cannot trust their life long friend? How can love remain worlds apart? Looking great with this NEW double sided soft cover, she may have had a few tweeks as well! 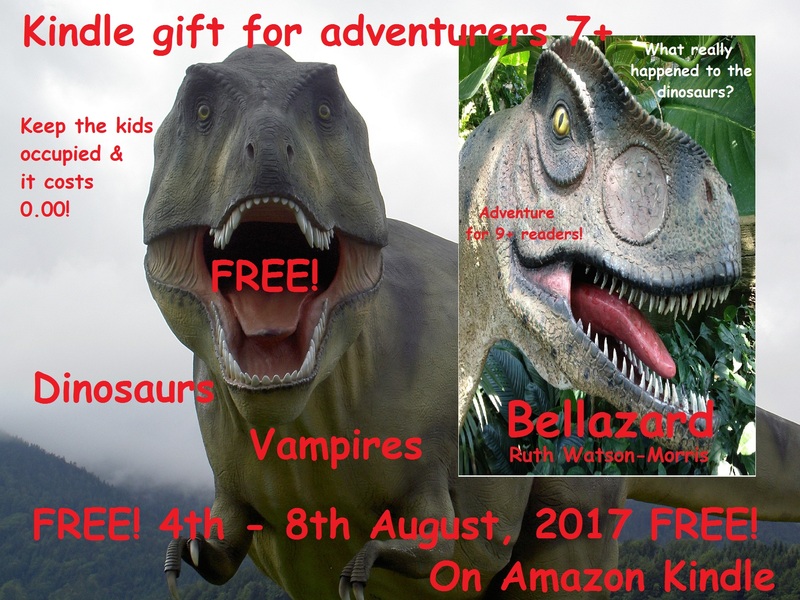 Evolved dinosaurs, vampire warrior children and a trip to find some missing dragons! Great adventure! Fill up those holiday blues. 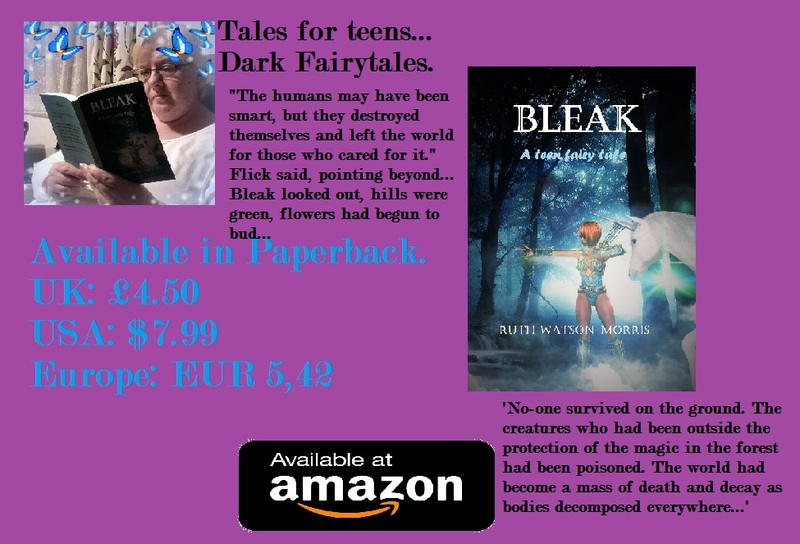 Meet Bleak, a fairy warrior, looking for survivors after a Holocoust she finds friends and discovers some deadly enemies. 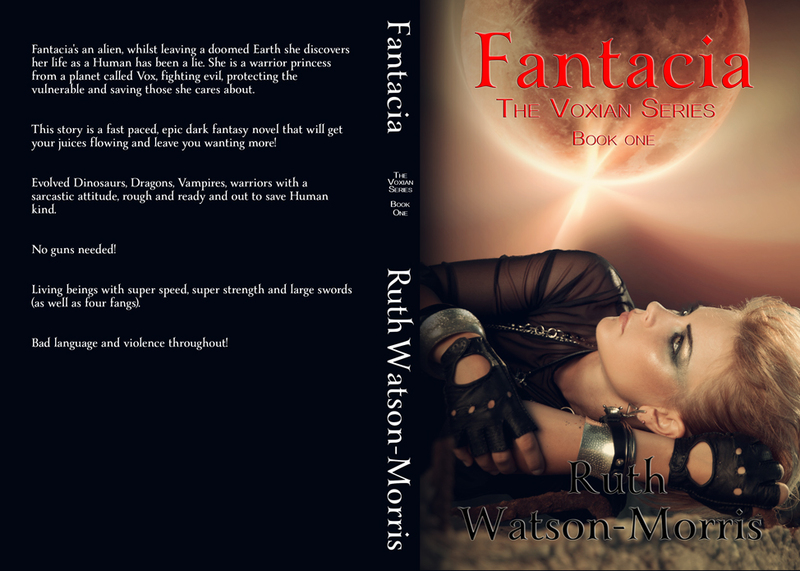 Put the kettle on, get your feet in those slippers and see how Fantacia’s world has changed. FREE 21st July – 23rd July, a bit of banter! Coming back… Let’s get this blog seen again! FREE this weekend!!! 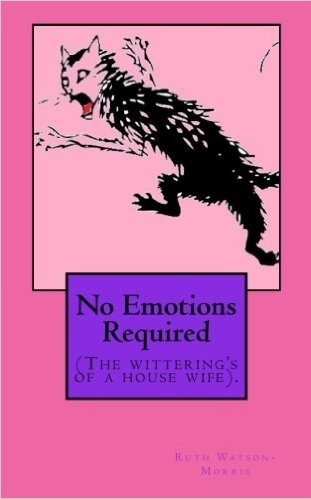 No Emotions Required is a Victoria Woodesque comedy out to make you have a giggle. Comical witterings of a Brummie housewife. Great personality of a shop worker who just needs someone to banter on to you. First person narrative with comical stories told about her life, her friends and family. She does have a bit of an accent, but it only adds to her character. Funny stories that will hopefully give people a look at Birmingham in the 1970’s and make you chuckle. It’s available onkindle FREE all weekend! After finding my books available FREE on 2 illegal sites, I thought I would beat them at their own game. Available now for ALL e-readers FREE!!! She may not be quite as glam as on Amazon, but this is the genuine version for 2016 and most updated version. Give it a like and if you enjoy it, also why not give it a review. This novella is approximately 52 pages long and is not for anyone who has just lost someone to cancer. FREE PDF will be provided. Please contact me either on here with a point of contact to get the PDF to you or find me on Facebook at Ruth Watson-Morris it has a picture of the roses and blue butterfly as my profile picture. Hello and welcome back to my Author interviews after taking quite a long break. His second story is called ‘Red Sky in the Morning’ and has stories go, I believe this is actually his best! I caught up with Bob and managed to get a short interview with him. 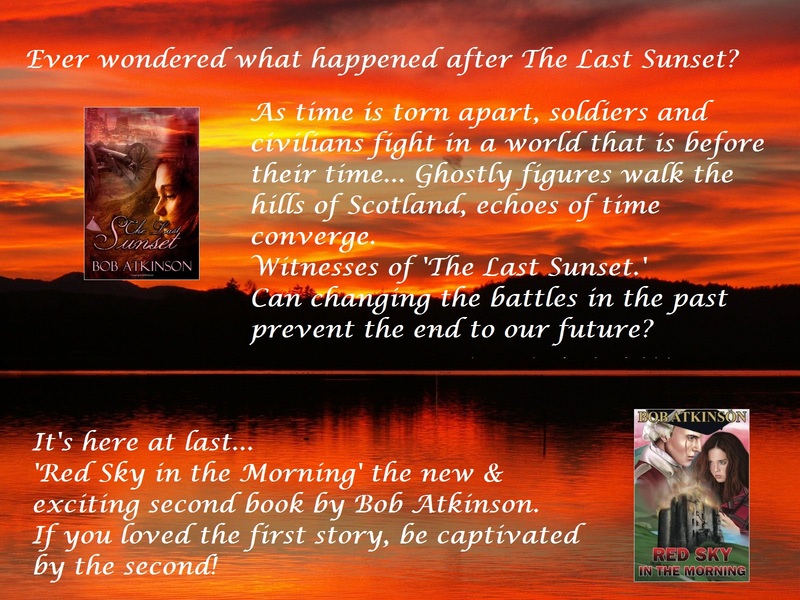 RWM: Okay, thank you so much for joining us today, can you please tell me, After ‘The Last Sunset,’ how long did it take you to decide to write a second book? RWM: ‘Red Sky in the Morning,’ is the name of your second book, how did you come up with the name? BA: I came up with the title long before I put pen to paper. It’s from the old saying, ‘Red sky in the morning, shepherd’s warning.’ In the context of the story the red sky precedes the final climactic battle. It also refers to the scarlet uniforms of the approaching army. 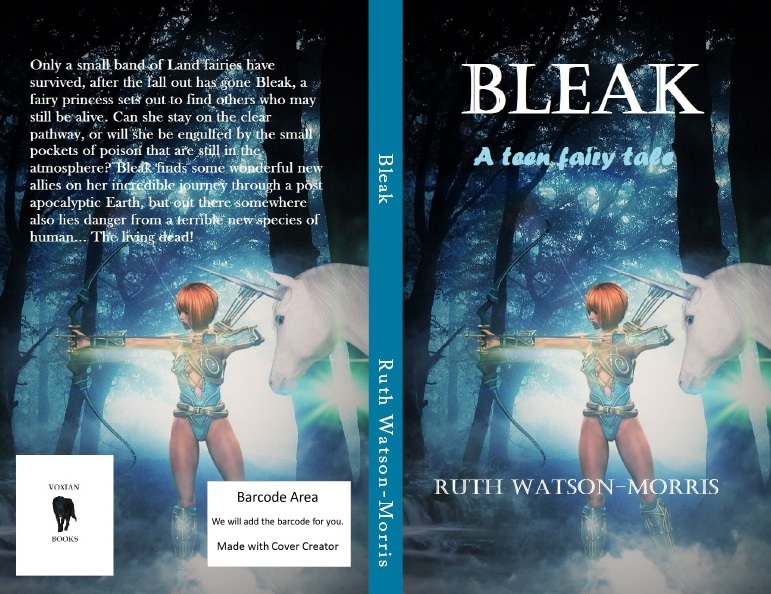 RWM: When will readers be able to buy your new book & where? RWM: Who is your favourite character in either or both of your books? RWM: Can you tell us just a little bit about your new book? BA: The Scottish Highlands, 1746. The history books are telling Andy Macmillan, a British soldier from the 1970s, that Jacobite dreams are about to end in slaughter at the Battle of Culloden. The disfigured British officer has the power to turn both the battle and a lady’s heart. But whose side is he really on? It’s been a pleasure to speak to you again Bob, thank you so much for your time, I hope all goes well with book two.